Why we sometimes can't stop ourselves doing things. Why we sometimes fear something when there's no real reason to do so. Why some situations 'trigger' uncomfortable feelings, even though we have no idea why. Why therapy doesn't always work as we want it to. Here are some FAQs about BWRT®. 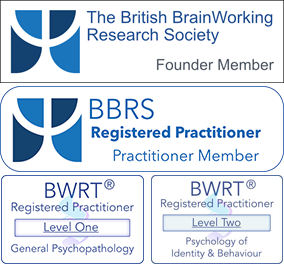 You can find out much more about how BWRT® works and the extensive range of conditions with which it can be used to help at my dedicated BWRT® website or the official BWRT® website here.